Modern, fun, striking and geometric are qualities that perfectly describe the Puppy Outdoor Lounge Chair with soft Fog Sunbrella® cushions. 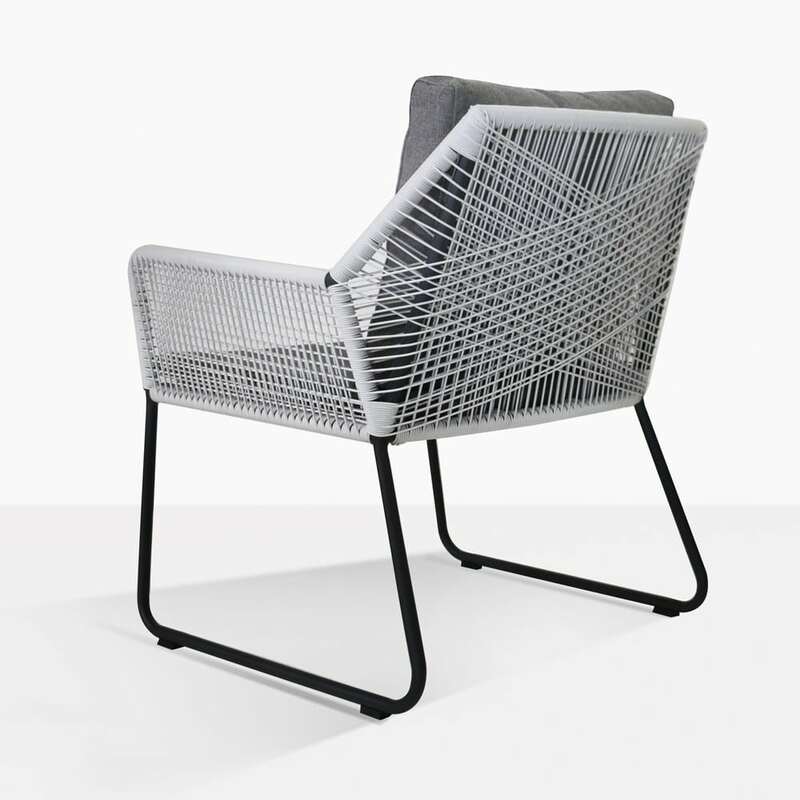 A tremendous design that is benefited from extraordinary materials, the Puppy Outdoor Relaxing Chair is an adaptable style whilst still being incredibly unique. The Puppy Chair has a wide, yet slender frame accentuated by long strands of white wicker in a fabulous geometric pattern. 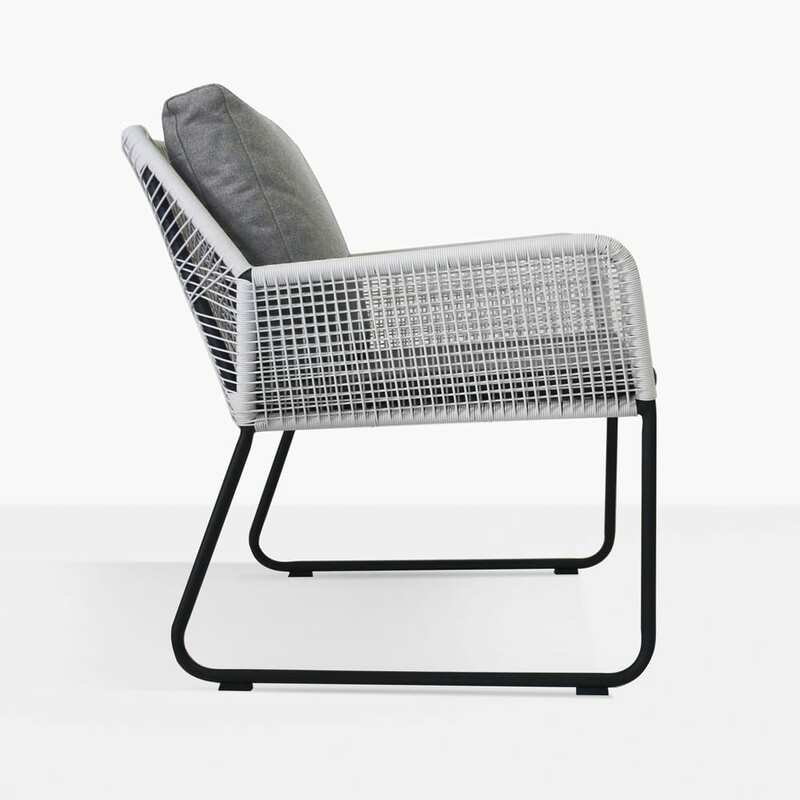 You’ll be taken by the contemporary sleekness of this quality piece of outdoor furniture. Place several of the Puppy Fog Relaxing Chairs along your poolside or verandah, placed in between charming white aluminum or concrete modern accent tables for a stylish, chic place to unwind in the bliss of your surroundings. Why not situate a relaxed setting away from your dinner table – the perfect posse to take a load off after a large meal. Place 3 or 4 Puppy Outdoor Relaxing Chairs around a coffee table of your choosing and enjoy the state of the art suite you have created with a truly incredible chair. 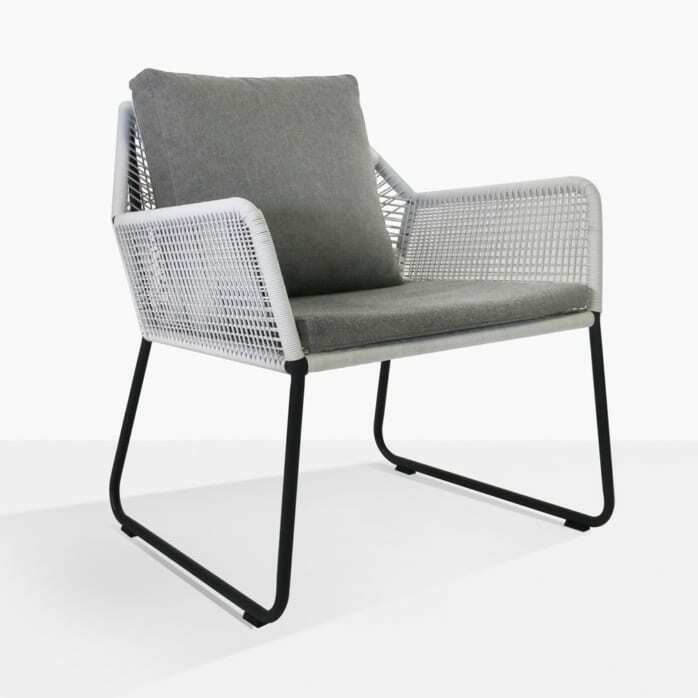 The Puppy Fog Relaxing Chair is made with a lightweight yet durable powder coated aluminum frame, and expertly wrapped with white modern wicker. The chair is topped with Sunbrella® seat cushions in a lovely grey Fog colour. If you are after a slightly different look, then why not purchase the Puppy Chair with Coal cushions for a refined, spectacular look. Design Warehouse is at the forefront of modern living for the outdoors. Visit us today to explore our amazing relaxing items, dining tables and chairs, loungers, accessories and much more. We are proud to carry a wide range of high quality, luxurious products that ensure each of our customers get a personalised experience and furniture that suits their style. 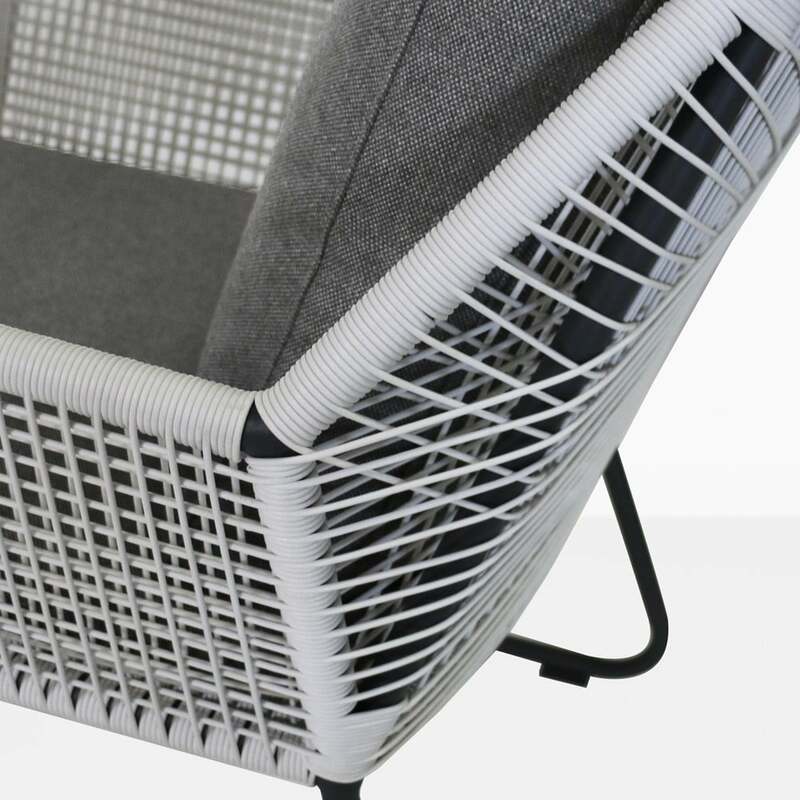 Sit back and relax in style with the Puppy Outdoor Wicker Chair. Call Design Warehouse today to order your Puppy Chair.